US-based programmatic advertising and influencer marketing player, engage:BDR, has officially listed on the Australian Stock Exchange as in recognition of growth opportunities across this region. The company was founded by Ted Dhanik, Kurtis Rintala, and Kenneth Kwan and is supported by non-executive director, Tom Anderson, former co-founder of MySpace in 2003 who sold the group to News Corporation in 2005 for US$580 million. Engage:BDR has two main products. The first is a programmatic technology to manage streaming video and display advertising aimed at both agencies and publishers. The second offering, IconicReach, is a social media influencer marketing product launched earlier this year aimed at helping brands discover and manage influencer partners. Although founded in Los Angeles in 2009, the company said Australasian expansion plans, interest from local investors and the ASX’s credibility led it to list locally. The IPO was oversubscribed, and resulted in the company issuing 50 million shares at $0.20 per share, and 30 million tradable options exercisable at $0.25 per share for three years, bringing total investment to $10 million. This was up from the initial $4-6m expected. The group is expected to have an IPO market capitalisation of about $50m. Dhanik said the funding is earmarked for a range of growth initiatives. “The IPO provides us with capital to help drive our next stage of growth in a very high-growth market.” Engage:BDR reported revenue of $21.8 million in the year to 31 December 2016, with a resulting operating net loss of $3.7 million. During the year, it also purchased global talent discovery platform, Tiveo, for $7.5m based on an exchange of shares. Optus Business has launched Optus Customer Engagement Management as a Service (CEMaaS), a platform that captures data about customer calls in order to help organisations improve interactions. The cloud-hosted package is built on Verint’s Enterprise Workforce Optimization suite, and uses speech analytics to evaluate the sentiment of a call, capturing key words and tone. Optus Business director of digital business solution, Cam Harris, said the system uses these to define trends that can help with product optimisation as well as customer engagement. It also measures against performance management criteria for employees, as well as quality and compliance. Based on the Optus Managed Cloud, the new offering is immediately available to the telco’s mid-tier and enterprise customers, and integrates with the Optus Contact Centre as a Service (CCaaS) solution delivered via Cisco-based Unified Communications technology. Startup blockchain player, Gaze Coin, is launching a new advertising metric and cryptocurrency it claims can help brands quantify the impact and value of content in the virtual realm. The new ‘Gaze’ metric is based on determining desirable consumer attention and engagement, and is being powered by a blockchain-enabled advertising platform that registers and pays consumers for that attention. The company is using eye-tracking across virtual and augmented reality to determine a consumer’s engagement with content. The model then calculates the amount of time a user spends immersed inside specific content, creating a micro-payment that charges the advertiser for that time, while simultaneously paying the consumer. Consumers are paid for their ‘gaze’ in the form of micro-payments using the Ethereum-backed cryptocurrency, GZE. Gaze Coin is pitching the solution as also a way of understanding the value of celebrity endorsement through VR/AR experiences. “Current online advertising models are deeply flawed, particularly with high levels of click fraud, which means that brands are paying for engagement with bots, not people,” said Gaze Coin founder and CEO, Jonny Peters. “We’re offering an alternative that not only tracks authentic engagement more accurately, but also enables brands to reward consumers for that engagement, and form direct relationships with them. Microsoft has made a raft of AI advancements announcements across its product portfolio at an event this week in San Francisco. On the list are new features within the Bing search engine including intelligent answers, advanced image search and conversational search, which are tapping AI to improve results and search capabilities. A new ‘perspective engine’ is also on offer, based on showcasing numbers, such as the size of a particular country or calories contained within a specific food, against other activities or locations that help a user understand them in more context. For example, a US user asking for the size of Syria will not only get the actual number, but have it compared to the size of Florida. The vendor has also added automated capabilities to Cortana to help with email and calendar management, as well as a new ‘skills suggestion and chaining’ function which is designed to help Cortana understand a user’s intent and offer up the next most relevant skill. In addition, Seeing AI has been updated to include currency and colour recognition and an audible light detector. Cognitive Services also now includes general availability of the vendor’s language intelligent service as well as support for Azure Bot. At the same time, Microsoft confirmed a new partnership with online discussion site, Reddit, to bring information from that community into Bing. The agreement sees three new capabilities initially brought into the search engine: Reddit Responses, Reddit Community Results and Reddit AMA Discovery. Criteo has sold its travel performance marketing business to specialist travel metsasearch player, Koddi, for an undisclosed sum. The deal is about allowing Koddi to improve efficiencies around how it drives traffic to its hotel operator clients via HookLogic’s channels. It's also about obtaining better insight into ad performance at a property level. Criteo purchase HookLogic for US$250 million in October last year. The deal is restricted to hotel-focused services and 27 employees, and Criteo is reportedly retaining HookLogic’s retail-focused business. The HookLogic travel business includes a delivery platform, self-service front end, APIs, and analytics and monitoring. Koddi and HookLogic have been working together since 2014. “By adding the former HookLogic assets from Criteo to the Koddi team, we will be able to drive more booking volume to our customers at higher efficiencies,” Koddi’s Nicholas Ward said in a blog post. Criteo, meanwhile, and its digital advertising verification practices have been under scrutiny in recent months after a Gotham City Research paper claimed the company’s detection and mitigation of ad fraud is almost twice as bad as others in its sphere. Following the release of its initial Method Media Intelligence report in September, Gotham City in October further alleged Criteo’s undisclosed practices are both illegal and harmful to advertisers. Specifically listed by Gotham City are Criteo’s Apple ITP workaround to circumvent privacy settings, and use of HSTS super cookie tracking. More widely, it has also questioned Criteo’s user tracking and consent practices, and opt-out options.The alleged malpractices have since been the subject of inquiry by Which-50. It’s not the first question of transparency levelled at Criteo. Last year, Criteo was involved in a legal dispute with rival, Steelhouse, after it accused its rival for alleged click fraud and misrepresentation of respective services. Steelhouse rebutted with counterclaims alleging Criteo was regularly injecting adware into users’ PCs and was using non-reputable inventory to inflate click numbers. The case was eventually dropped in December 2016, when both companies agreed to drop their respective law suits and noted that the focus needed to be on continuing to improve transparency in the adtech industry. 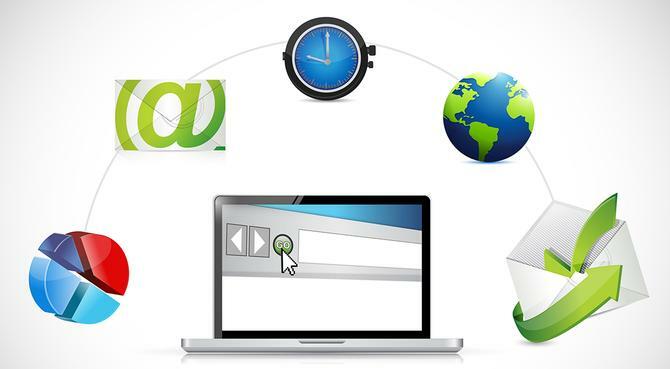 Act-On Software has taken the wrappers off several new features within its marketing automation platform. On the list is adaptive forms, designed to allow marketers to further customise individualised surveys and forms for each buyer using progressive profiling, responsive design and adaptive fields. Transactional sending, meanwhile, is about ensuring operational-based emails are always delivered. Again, the focus is on individualising messaging to guarantee delivery in an inbox. Local sending is about meeting the new data residency protocols outlined in Europe’s forthcoming EDPR rules, and is about ensuring customer data stored in Act-One’s servers is based in Ireland as a way of safeguarding data protection standards.